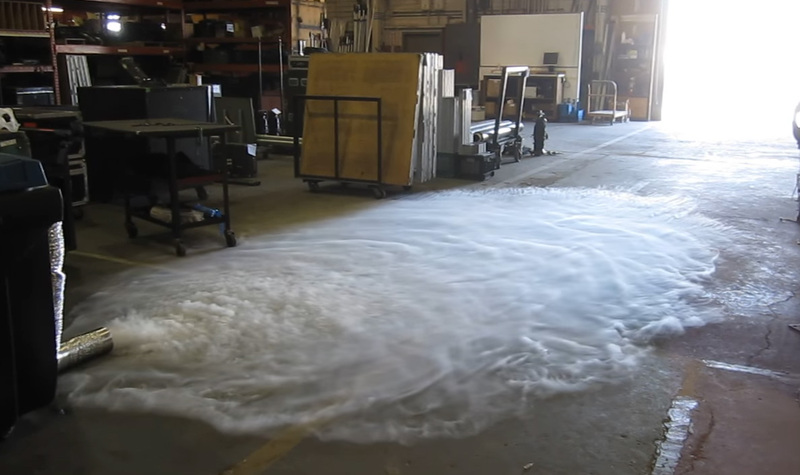 A new concept in dry ice fog, The AQUAFOG water-based system is light-weight, portable and durable, allowing you to create large amounts of billowing fog. The large lid lifts for easy loading of the stainless steel ice shelf. All electrical components are conveniently located behind the electrical panel. A powerful stainless steel pump brings heated water from the tank up to the dry ice. 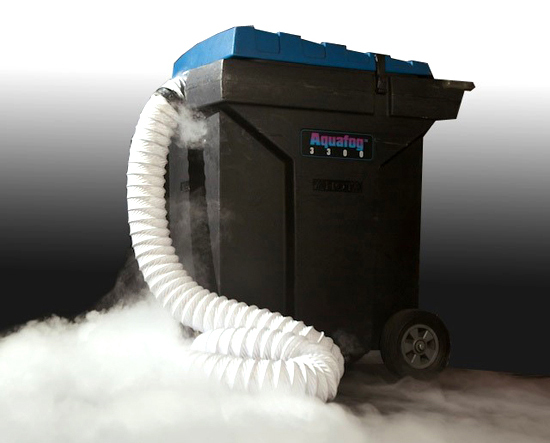 A 6″ fan pressurizes the tank and sends the fog out to the stage. AQUAFOG conveniently plugs into wall outlets, no need for 220 volts. Circuit breakers control the dual 1650 watt heating elements, fan and pump. Indicator lights show the status of the water temperature and heating elements at a glance. A low water level cutout switch assures that the heaters will not operate if the water is low. The sophisticated adjustable water temperature circuit will bring the temperature from a range of 100 through 160 degrees (F) and will maintain temperature all through your long rehearsals. The convenient 4-plug system allows for easy remote control.